The Washington DC Area Mongolian Community Association celebrated the Mongolian traditional summer festival Naadam in the nation’s capital on July 8th, 2012 at Barcroft Park in Arlington Virginia. A large Mongolian flag is being carried around during the opening ceremony of the Arlington Naadam festival. 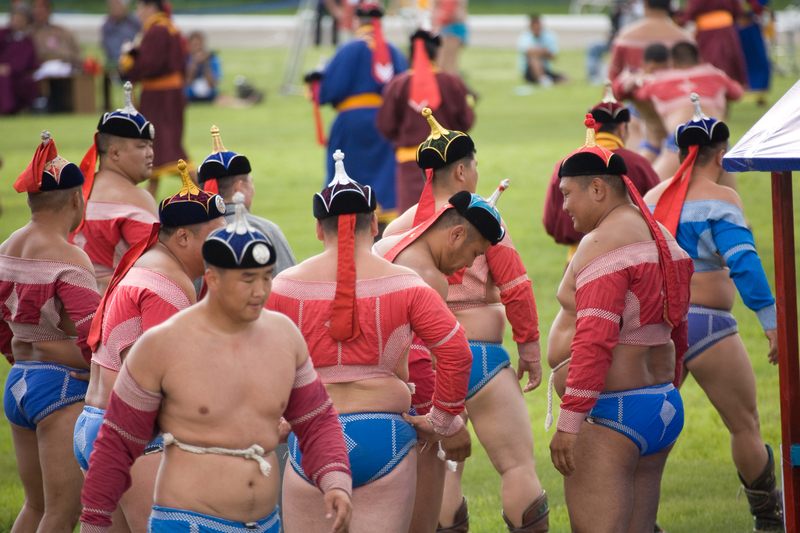 During the Naadam Mongolian traditional music performances and wrestling competition was happening. If you can’t make it to Ulan Bator for Mongolia’s National Celebration Naadam, the Mongol Naadam Festival in Washington State is your next-best option. The event held annually in the Mongolian capital Ulan-baatar celebrates that country’s three main sporting pastimes: Mongolian wrestling, archery and cross-country horse racing. Although the Washington State Naadam is scaled back somewhat (there’s no archery competition, and a child’s footrace replaces the horse race), the wrestling competition is the main attraction;. The Mongol Naadam is not as bilingual as other festival in the area, so brush up on your conversational Mongolian and bring your appetite for khuushuur, deep-friend pockets of dough stuffed with minced mutton or beef, garlic and onions.